Since we are stuck in the middle of flu season there is a good chance that you could still get sick. If you can prevent that, you’ll be golden! However, it can be difficult to not get sick especially if you’re living in the residence halls. Being sick in college is, for me, one of the worst things ever. Not being at home with some family-made chicken soup and having someone take care of you is hard. This is especially hard if this is your first time away from home. Since you probably don’t have that comfort of being at home, you have to find it at school. 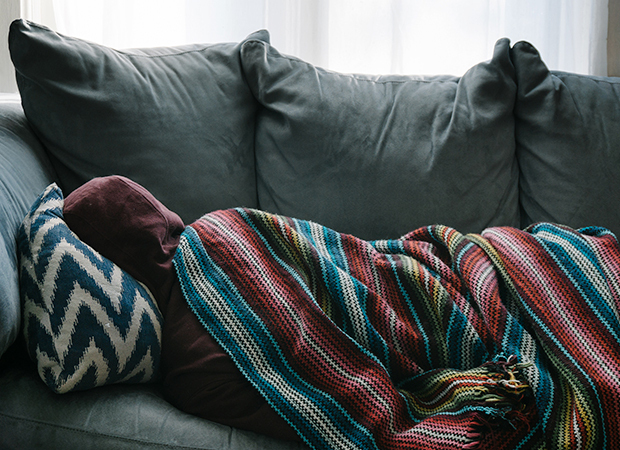 Here are some tips on where to go when you’re sick. Being in the residence halls can be pretty hard if you’re trying to avoid getting sick. This is because you’re in close quarters and share the same hallways, elevators/stairs, and even bathrooms. Germs are everywhere. All residents should take care to wash your hands as much as possible, and if you’re sick you should try and stay in your room. You should also notify your teachers if you’re too sick to make it to class. Trust me, your teacher will appreciate you not showing up to class if that means that you’re preventing them from catching whatever you have. Make sure to figure out if you’ll need a doctors note to show proof of your absence. The most important thing is to stay in bed and get the rest you need to get better. If you’re quite sick this can be difficult. Reach out to your friends, roommate or RA for help if you need it – they may be able to pick up some cough medicine, soup or whatever else you need on the way back from class. You don’t have to suffer through your cold alone! This is especially important. If you’re sick and think that you’re not going to get better anytime soon, go to the health center. The health centers are there for you for a reason; to help you get better! There are various doctors for different types of services that are trained for this exact reason. Make an appointment ASAP and get the help that you need. Don’t put it off until you get worse because your recovery time could be longer than you think, and appointments fill up – especially during flu season! If your recovery time is long, then you could potentially get behind in class and no one wants that. Unfortunately, health centers at school aren’t open 24/7. Sometimes when you’re sick it gets to its worst point in the late night or early morning, or maybe over the weekend. Since the health center isn’t an option at those times, you should go to the hospital or urgent care. This, of course, is if you can’t wait until the health center is open. Some illnesses are worse than others and need the proper care that it deserves. This is obviously worst case scenario. If you are too sick to attend class, leave your bed, eat, or any other symptom, and it’s an option, you should try and go home. If your hometown is very far away, then this, unfortunately, might not be an option for you. However, if you are close enough to go home, this might be just what you need to make sure that you recover quickly and don’t get anyone at school sick. If you’re sick in college, make sure that you know what all of your options are. Becoming healthy again is your main priority to having a successful school year and GradGuard is here to give you the tips on how to do it!